Home / Health / What Is Hemp Oil and Why Do People Take It? What Is Hemp Oil and Why Do People Take It? Hemp oil is known to be one of the most controversial drugs in the United States. Many people usually have a negative perception of hemp oil and believe that hemp oil is simply used just to get high. However, the reality of it is that hemp oil is now commonly being used for strictly medical purposes. There are millions of people who suffer from serious medical conditions, like diabetes, various types of cancers, chronic back pain, chronic sleep conditions and many other conditions that don’t yet have a cure so they are faced to live with chronic pain. Usually, people who are suffering from these chronic medical conditions end up taking a flurry of different prescription medications to ease their pain. Many people end up facing serious side effects from these prescription medications when taken for a long period of time and usually end up wanting something more natural. Many people who are currently dealing with mental and physical health conditions choose to take hemp oil to be able to live a better life. 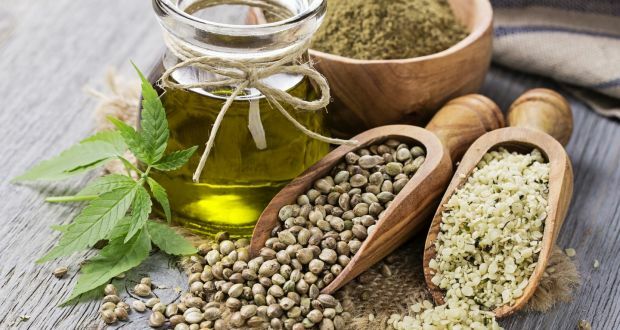 Hemp oil is a substance of oil that is extracted from the hemp or Cannabis sativa plant using careful extraction methods using either ethanol or CO2 extraction methods. Hemp oil can be used in a variety of different ways. Some people who use hemp oil prefer to ingest it in their foods or drinks. Since it comes in an oily substance, it can be placed in foods easily. However, there are some people who prefer to use this oil in by smoking it using a vape pen. For some people, they prefer to use hemp oil by smoking it because they find a calming and relieving experience. For example, those who suffer from anxiety and stress turn to hemp oil smoking to find stress relief. It is something about slowly breathing it in and out that calms their mind and body. Why do people take hemp oil? There are so many people all over the world dealing and living with chronic health conditions, such as diabetes, cancer, back pain, leg pain, glaucoma, heart conditions, etc. Many of these people suffer pain that they have to deal with for the rest of their lives. For many people living with chronic conditions, they have to live with the fact that there is no cure for their sickness. This means that they have to try to cope with the chronic pain and symptoms that they will probably experience for the rest of their lives. Some people want to find a legal way to ease their pain with cannabis properties, such as using hemp oil. Some people also are afraid to use it because they are not sure if it is legal. Hemp is legal in many states and you can find more information by searching online for is hemp oil legal? Once you search for is hemp oil legal, you should be able to find a series of information. People usually turn to hemp oil to find relief for their illness. Some people would much rather prefer a more natural medication, rather then fill their bodies up with prescription pain medication that could have more harmful side effects long term. For example, taking pain medications like NSAIDs could end up having more harmful side effects like the formation of ulcers in the digestive tract. Taking hemp oil can be able to provide similar properties, such as inflammatory benefits and pain relief without affecting your digestive properties.